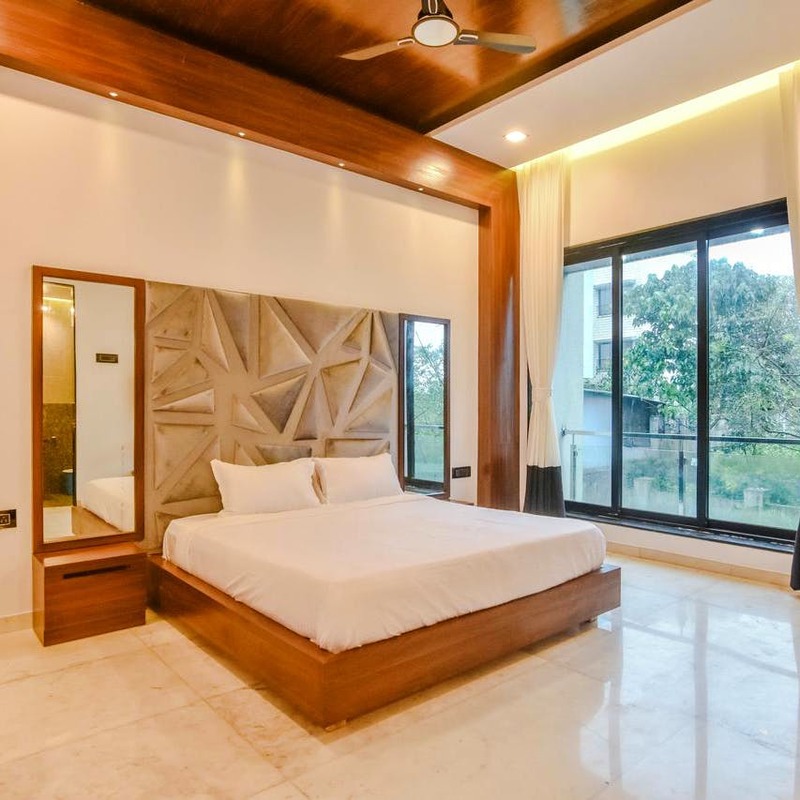 Fishing, diving, hiking and much more, you can do it all when in Lonavala and staying at this grand bungalow stay which is located on Tungarli road. Shalimar Grand is a one-of-a-kind stay option which you can explore if you're ready to shell out some extra bucks to get your adrenaline rush going. Right in the middle of Tungarli road, Shalimar Grand stands tall with its own grandeur and charm. With spacious family rooms and a fully-functional kitchen and lobby area, this bungalow is a good option to rent when travelling with family for a vacation or a function. It's perfectly alright if you are travelling with your gang of friends as well as the villa provides many sport and outdoor activities. If you are an adventure lover, you can indulge in outdoorsy things such as diving, hiking or fishing in bungalow's surroundings. At an extra charge, the bungalow management will arrange it all for you. What we love the most is that there is a swimming pool as well as an outdoor bath. It's winter already but before it gets way too cold, we suggest you make a splash in the outdoor tub. Apart from that If you wish, there are BBQ facilities available at extra charge. You can host BBQ parties in the outdoor area and have a time of your life with your loved ones. You can always set out for exploring the nearby attractions which include some popular ones such as Lion's point, Tiger's point, Bushi dam, Kune falls etc. If you wish to visit Adlabs Imagica, you can do so as it is just 13 km away. You may face problems with respect to connectivity as no internet connection is available at the villa. Due to this, payment also needs to be made only in cash. The villa has special air-conditioned bridal suites as well. If you have booked this place for a wedding party, we assure you that the bride, as well as her entourage, will have a super-comfortable stay.